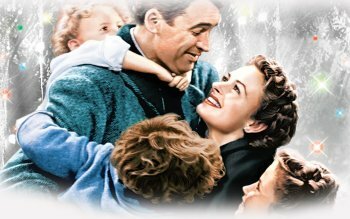 Synopsis: George Bailey has spent his entire life giving of himself to the people of Bedford Falls. He has always longed to travel but never had the opportunity in order to prevent rich skinflint Mr. Potter from taking over the entire town. All that prevents him from doing so is George's modest building and loan company, which was founded by his generous father. 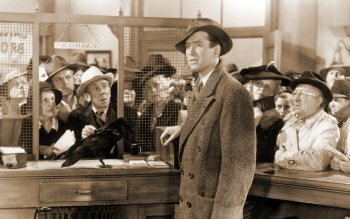 But on Christmas Eve, George's Uncle Billy loses the business's $8,000 while intending to deposit it in the bank. Potter finds the misplaced money, hides it from Billy, and George's troubles begin. If you have more info for this movie or others, add it to the database! Many movie images are provided by Fanart.tv If you have more images - feel free to send them their way!